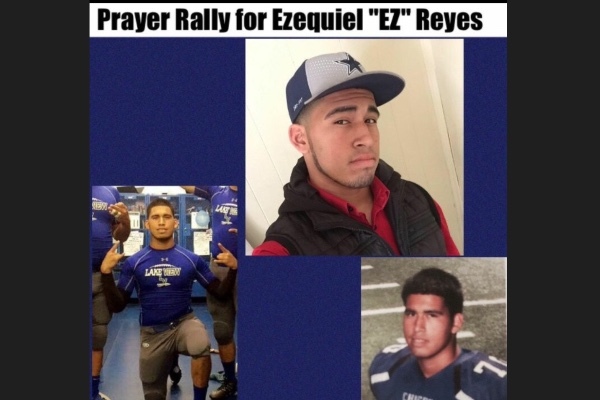 Ezequiel Reyes was in a horrible accident yesterday resulting in him fighting for his life in ICU. After finishing his shift at Burger King he was walking to the hospital to visit his mom, when a vehicle involved in an accident rolled over on top of him. He is currently a student at Lake View High School and was scheduled to walk the stage next week. After arriving at the hospital doctors didn't expect him to make it through the night. However he's a fighter and by the grace of God he did. Any help is greatly appreciated. On behalf of the family, we would like to thank everyone for the overwhelming amount of love and support we have received during this difficult time. The community has risen up, and no act of kindness goes unnoticed. Thank you all from the bottom of our hearts, and God Bless. Prayer to All, unable to donate at this time But will asap. Our deepest condolences.. From all the family at Rusas Mexico...Prayers to the family of EZ Reyes. May you rest in peace!! !